Stan Lee, the comic book legend and creator of iconic superheroes such as Spider-Man, Iron Man, the Hulk, and the Fantastic Four, died at the age of 95 on Monday. While Stan Lee was easily the world’s most famous comic book writer and editor, he might not be as rich as you’d imagine. Much is unknown about his finances, but Stan Lee’s net worth is often estimated at $50 million to $80 million. That’s a lot of money, obviously. But Stan Lee himself said he made many unwise business decisions over the years that resulted in him leaving plenty of money on the table. 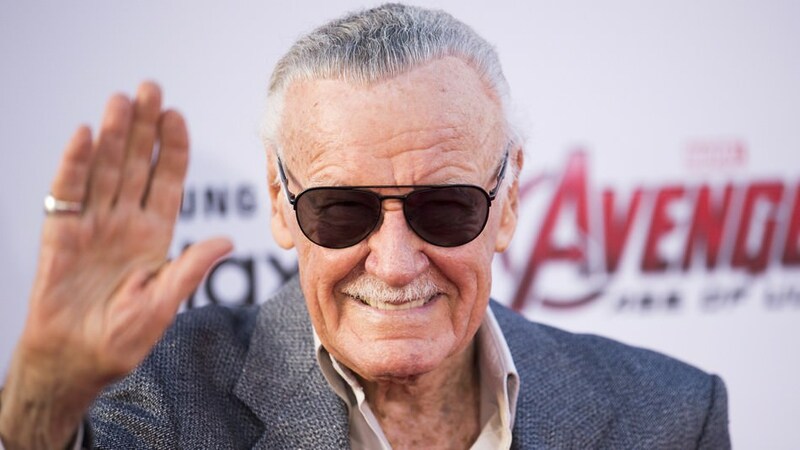 After all, Stan Lee is credited for creating many of the characters in the recent string of hugely successful Marvel movies, which have grossed over $24 billion at the box office, according to the New York Times’ Stan Lee obituary, and spawned an entire universe of merchandise and fandom. Here is a quick recap of Stan Lee’s amazing career and creations — and what we know about the financial successes and frustrations that followed. Stan Lee, born as Stanley Lieber in 1922, began his career in comics while still a teenager, getting paid $8 a week to work as an office gofer for Timely Publications, the New York Times reported. Timely published Marvel Comics, and Stan Lee received his first writing credit on a Captain America story published in 1941, according to Marvel’s website. Lee created the hugely successful Fantastic Four in 1961 with the artist Jack Kirby, kicking off a remarkably productive period. Spider-Man, the Incredible Hulk, the X-Men, and Iron Man all made their debuts between 1962 and 1963 thanks to the creative force of Stan Lee and his Marvel colleagues. By the late 1960s, Marvel had overtaken DC Comics as the world’s top-selling comic publisher. And in 1972, Stan Lee was promoted to the position of editorial director and publisher at Marvel Comics. Comics made Stan Lee wealthy and famous. But Stan Lee reflected later in life that his business decisions had often been foolish given how insanely successful and lucrative the Marvel universe has become. Marvel has been bought and sold several times over the decades, and eventually Disney paid $4 billion to acquire the brand and its catalogue of characters in 2009. But Stan Lee was never an owner of Marvel, so he failed to cash in. Lee said he regretted signing a contract with Marvel in 1998 that supposedly would pay him a share of the profits from movies and TV shows based on characters he created. In 2002, he wound up suing Marvel, claiming he hadn’t been given his proper share, and a few years later was awarded 10% of the profits from films like “Spider-Man.” He also reportedly received $1 million in annual compensation as Marvel’s chairman emeritus. Modern moviegoers have seen plenty of Stan Lee, whether they realize it or not. Up through 2018, Lee has made cameo appearances in 35 Marvel movies, including five films released this year alone. That tally doesn’t even count Stan Lee’s appearances in non-Marvel movies, like his hilarious running gag in “Teen Titans Go! To the Movies!” which actually exists in the D.C. universe. According to Stan Lee’s IMDB page, he has a total of 121 actor credits in movies and TV shows, on top of a whopping 217 credits as a writer. Stan Lee has also been embroiled in legal battles with his daughter, J.C., and a team of handlers, with allegations of elder abuse raised. “Lee stands at the center of a nasty battle for his care (and estate) as one friend pleads for help: ‘He’s in need of a superhero himself. '” the Hollywood Reporter wrote earlier this year. Stan Lee made several moves in the Los Angeles real estate market over the years. He bought a 2,500-square-foot home in the Hollywood Hills in 2006 for $3.6 million, and put it back on the market in 2014 for $3.75 million. Stan Lee put another home he owned in the same neighborhood up for sale in 2015 with an asking price of $5 million. In recent years, Stan Lee has been one of the most in-demand stars at comic book conventions, which have proved to be a steady stream of income for him. Over the years, comic fans have been willing to pay more and more to meet him and get a selfie or autograph from Stan Lee. As Stan Lee’s health deteriorated in recent years, fans express concern about his busy schedule of public appearances. He was supposed to headline a comic con in the Philippines in early 2018, but wound up canceling. Stan Lee did make it to the Silicon Valley Comic Con last April, but fans said the 95-year-old legend looked exhausted, confused, and overworked. “That man is a legend and you shuffled him around like he was a bag of money!” one commenter reportedly wrote on the comic con’s Facebook page. The going price for a Stan Lee autograph was $50 in 2010, and it doubled to $100 by 2016, and hit $130 more recently. Stan Lee admitting that he should have been greedier sounds like an understatement. He brought a lot of joy and success to countless people all over the world. He should be rewarded accordingly. @supermario It sounds like he wasn't sufficiently compensated despite his efforts. He did own multiple houses though, so on the outside it looked like he did quite well even without the hefty sum that should have been due to him. Seems like he was just a convenient cash cow. RIP Stan Lee. He is a legend, and will live on as so in the hearts of the fans.